As we know that psychology is the science of both behaviors and internal mental process. This article deals with behavioral part of it and involves associating our own behavior with consequences. Like when you see an animal performing circus trick or a child cleaning his room due to the rewards he/she receives for it. In both these above cases, operant conditioning is involved. 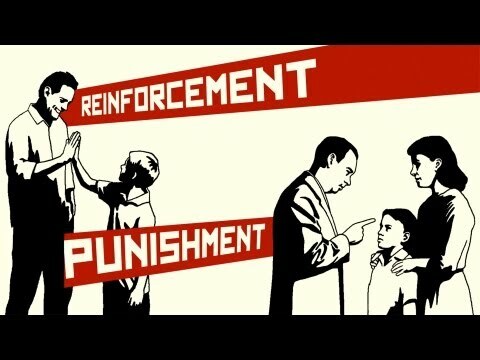 So let's understand what does this operant conditioning mean. Operant Conditioning is a type of learning in which the strength of a behavior of the operant (object under consideration) is modified by its consequences. To comprehend this in a better way, let's return to the example of an animal playing a circus trick. Suppose we desire for a monkey to stand on 2 legs and balance a ball on its head. Now to increase the likelihood of this behavior in future, whenever a monkey does balance a ball on its head, he is given a reward ( say some cookies). Now as we know a monkey is not going to stand on its two legs and balance the ball, so we need to shape this behavior. Operant conditioning often involves shaping a behavior, which involves not only rewarding the desired or target behavior but also rewarding successive approximation of the target behavior. So for every time a monkey touches the ball or lifts the ball and/or stands on two legs, he is awarded as the trainer thinks it to be closer to his desired behavior. Finally, Once the monkey exhibit the desired behavior, henceforth he is awarded only when he exhibit the desired behavior. In our everyday life also, we are continually shaping and refining each other behavior both intentionally and inadvertently. We do this through reinforcement as well as punishment. Reinforcement procedures are adopted when we try to increase the future frequency of the desired behavior by delivering a stimulus immediately after response behavior is exhibited. 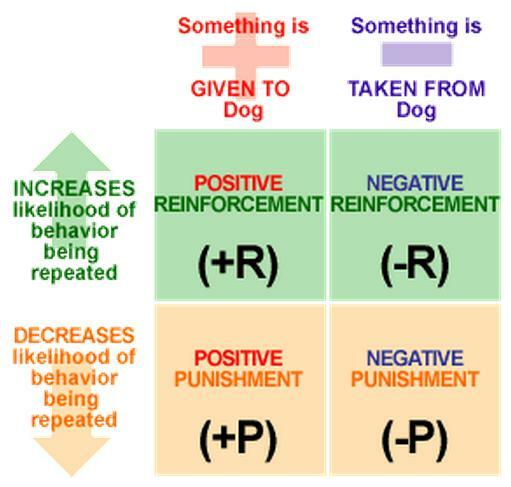 Reinforcement is further categorized into positive and negative reinforcement. Positive can be associated with addition and negative with subtraction. So positive reinforcement is adding something (Favorable Stimulus) that will motivate the individual to increase the likelihood of repeating that behavior in future. 1. When a child finishes his/her homework on time(desired behavior), his mother gives him ice-cream( positive stimulus). 2. When you complete a project on time (desired behavior), your manager gives you a compliment(Positive stimulus). Negative reinforcement is when an averse stimulus is removed once we exhibit a particular behavior. Here avoiding or escaping from this negative stimulus acts as a motivating factor which increases the future frequency of the desired behavior. 1.When a child cleans his room in order to avoid his/her mother nagging. Here mother nagging acts as a negative stimulus which is avoided by the child by cleaning his room on time. 2. When a car alarm stops beeping(negative stimulus) once you put on the seat belt(desired behavior). 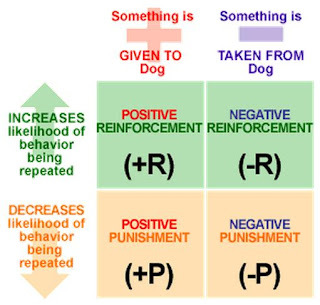 Negative reinforcement should not be confused with punishment as reinforcement is to increase the frequency of the desired behavior whereas punishment is to decrease the frequency of an undesired behavior. In punishment, the stimulus which follows the undesired behavior decreases the likelihood of repetition that behavior in future. Like reinforcement, it can be either negative or positive. It works by delivering an averse stimulus when an undesired behavior is exhibited, which decreases the probability of repetition of that behavior. When a child doesn't do his homework, his/her teacher reprimands him/her. Now the reprimand of a teacher acts as averse stimulus here and this makes children not doing their homework less likely to happen in future. Negative punishment happens when a favorable stimulus is removed when a certain undesired behavior is exhibited, which makes such behavior less likely to occur in future. When a boy/girl arrive late at night, his/her cell phone privilege is taken away by their parent. Here cell phone privilege is a favorable stimulus which is removed in order to decrease the probability of their child coming late at night again. Now watch a small video from Big Bang Theory on the execution of a few of these procedures. If you have your own experience with reinforcement and punishment, feel free to share using the comment section.